You may think of Cozumel as a tourist, cruise ship, visit-the-beach Island. 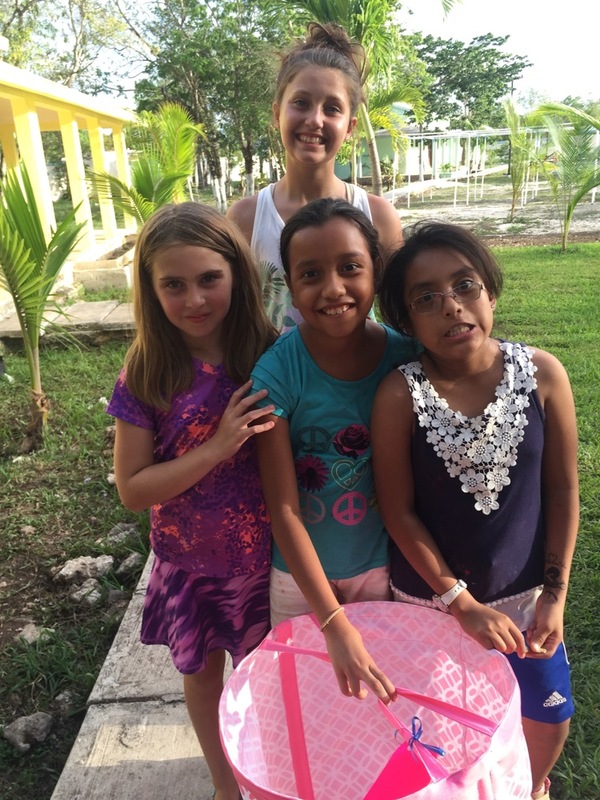 But to all those who have been to its orphanage, Cozumel means a lot more. Because Mexico has an orphan problem. It has over a million orphans who need a home. 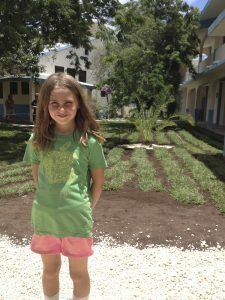 Ciudad de Ángeles is an orphanage on Cozumel, which is a Mexican island off the coast of Yucatan. That’s where I spent the first week of my summer. I went with a group of volunteers to help Ciudad de Ángeles and stayed for a week. Being in the Dual Language Program at Mark Twain Elementary School helped me to communicate with the orphans, automatically putting me at the post of a translator. Mission teams come each year for a week at a time to work on and help Ciudad de Ángeles. My team helped with the scenery and housing conditions. Ciudad de Ángeles is building a “neighborhood” of 10 houses and other buildings like a laundromat and nurse station. So some of us helped with that by doing work on the new houses. Sometimes some of us worked on curtains for the windows in the upstairs offices. Other times we laid grass, shoveled gravel or harvested our own topsoil (as it is super-expensive in Cozumel). After lunch we always took a break inside to get away from the tropical heat. During the day most of the children were at school because their school year is longer than ours. However, Mexican public schools are very poor and do not prepare children for college or careers. Just a few weeks ago, Ciudad received a donation that will allow the children to attend private school instead. Everyone learns English as a second language since tourism is so important to Cozumel. In the evenings after school, we also interacted with the kids. I even met a girl named Paloma and then we were instantly friends. Most of the orphans were anxious to play but some of them sat on the sidelines talking with their friends. A lot of the Mexican boys would play soccer against us and they always won. There was a little playground we would play on sometimes too. We would have Bible class, too (Ciudad de Ángeles is Christian). Sometimes the kids would help with work, so overall we had a lot of time with the kids. Which was not a bad thing, since we got to know them better. Ciudad de Ángeles is currently home to about 40 kids, who live in 6 different houses on one campus. Each two-story house is home to two house parents and approximately eight children. This method of placement makes Ciudad de Ángeles unique because in most Mexican orphanages everybody lives in one building. The houses are air conditioned and made of concrete. The downstairs have a kitchen and dining room where meals are prepared and eaten family style. Just like you might imagine, they eat a lot of rice and beans there! The house parents do the grocery shopping for their household and the orphans help with the chores. There are two bedrooms, one shared by the boys and the other shared by the girls. They use bunk beds to maximize space. Ciudad de Ángeles changed my heart by the way the house parents and orphans had developed a relationship. The orphans were brother and sister to each other even if they were not in the same family. But I had sympathy for both house parents and orphans. The house parents seemed to be under a lot of stress at times and the orphans didn’t even have a pool to swim in! I feel this could change though. If we had more funds and volunteers, we could build four more houses. And if we had more house parents, we could have more houses open and Ciudad de Ángeles could take in more orphans, helping to lower the amount of orphans in Mexico. Ciudad de Ángeles counts on their volunteers. Maybe someday you will be on of those volunteers Ciudad de Ángeles counts on. You could also assist by donating money to one or more of Ciudad de Ángeles’ funds. Mi amiga, my friend, Paloma and all the other orphans in Ciudad de Ángeles need our help. And they need you.